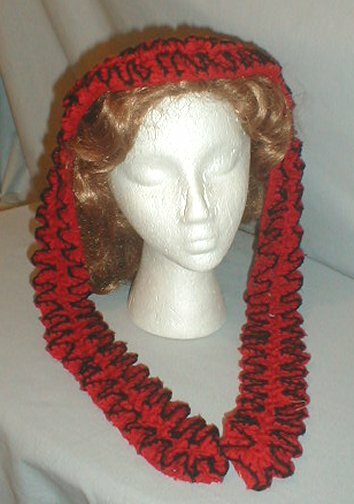 All The Pretty Dresses: Knitted American Civil War Bonnet! 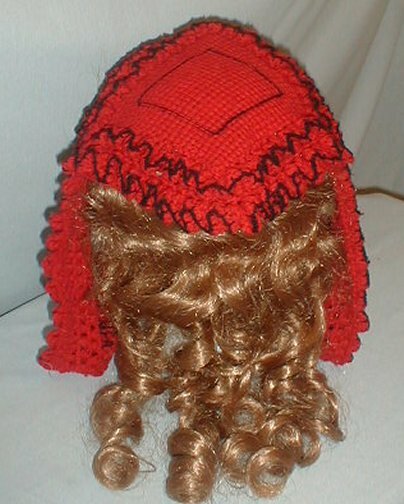 A sweet 1860’s Civil War era bright red wool hand knitted bonnet. 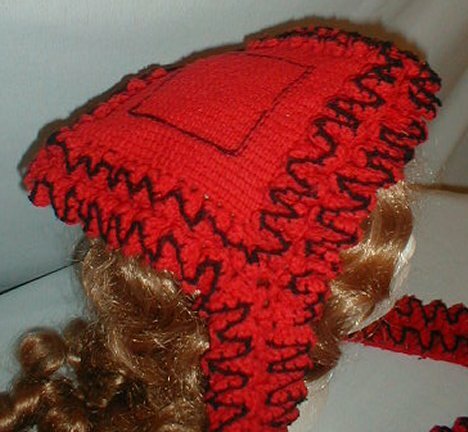 The bonnet has long side lappets. It is trimmed with black wool edging and has a diamond pattern on the crown that is done with black. 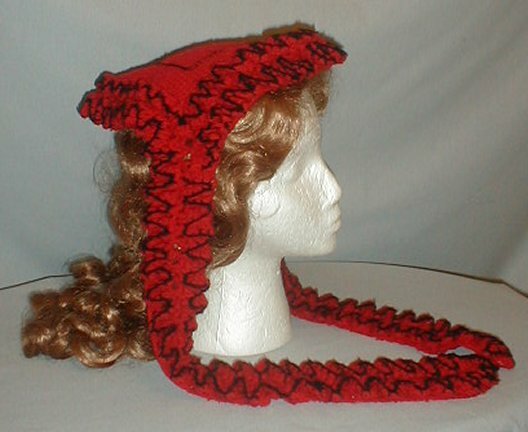 The bonnet might have been used for skating. It is in very good condition. There are no holes. Actually, this is a post-Civil War (1866-69) Tunisian crocheted cap. Hi and welcome to my blog! As you can see, this was posted well over 3 years ago. I'm afraid I don't know you yet and therefore, don't know your background in fashion history. Without any links to evidence to support your theory, well, this is the Internet. Anyone can (And will!) say anything. http://2.bp.blogspot.com/-py93azzXUZU/UiejaKoytRI/AAAAAAAAAJA/I7invbOTS3M/s1600/October+bonnets+godeys+1865.jpg ->Although these are technically after the Civil War, it is only Oct 1865. This is why I believe it to be from the American Civil War period. Because the shape is more similar to those from the 1864 fashion plate, I believe it to be from about then. You start to see a decrease in the size & shape of the bonnets/caps towards the end of 1864 but you really don't see the "diamond" shaped fanchon cap/hat until 1866. Those are the ones I can find at the moment. As to my knowledge of the period, I've been a studying & sewing historic clothing and reenacting the ACW since 1988. I've owned my own business, MorganAside, since 2007. On the historic reproduction side, I specialize in boy's clothing, women's riding habits and knitting/crocheting items for the reenacting community and more.This doesn't mean that I don't sew other items from the period but I work with two other women and those other items are their specialty.